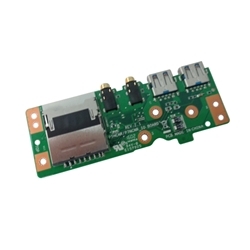 Description: New Acer laptop usb I/O card reader circuit board. Compatible Part #'s: 55.Q0SN5.002, P5NCNR/P7NCNR. Acer Predator 15 G9-591, G9-591G, G9-592, G9-592G.